Get your own promotional message printed on both sides of the retractable banner material and give your customers a reliable pen that will ensure your promotional message keeps working for you a long, long time. 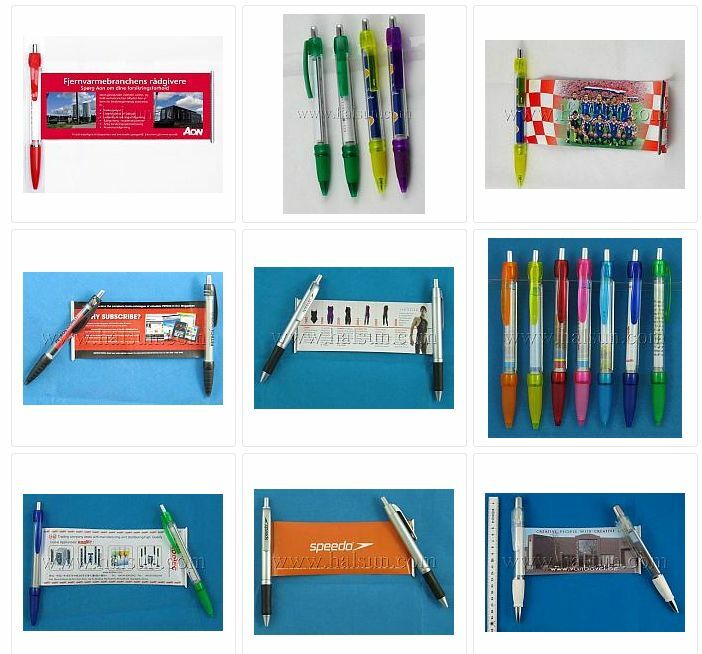 Flag Pen is effective and make goods sense when considering a branded printed pen. Add some WOW factor to your next promotional pen and give your customers lots of valueable sales information in your very own made to order flag pen. We specialise in Flag or Banner Pens and our sole purpose is to deliver your banner or flag pens on budget and on-time. Order your customized flag pen at www bayfan.com! Delivery time will 4 weeks to your door by courier like DHL/Fedex/UPS/TNT. If you are in hurry, we also offer 15-days urgent delivery service.